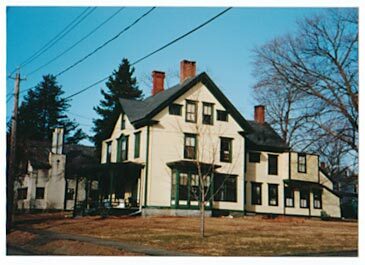 When the local Phi Gamma Delta chapter was founded at Amherst in 1893, they lived in this house at 71 North Pleasant Street, which they rented and furnished. 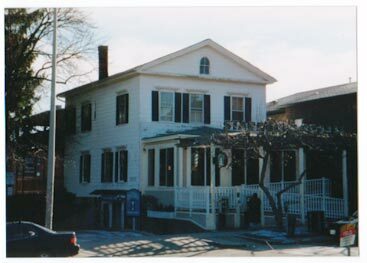 They moved from North Pleasant Street to this house at 26 Spring Street, and lived there until 1903, when they acquired land and a house on Lessey Street, on Oak Grove Hill. That house later became known as Marsh House. (Archives & Special Collections, Buildings and Grounds Collection, box 5, folder 57). (Photos taken 12 October 2001).